Why would we want a doorway to a dirt pile? 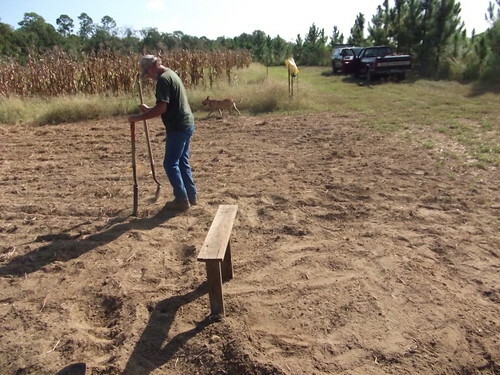 Terry Davis and John S. Quarterman banking sweet potatoes at Okra Paradise Farms. Pictures by John S. Quarterman, Lowndes County, Georgia, 25 August 2011.